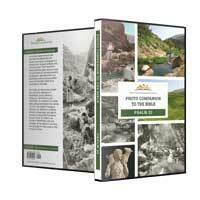 “Restoring” the soul refers to the renewing and sustaining of life. The Hebrew word for “soul” here refers to all of one’s being (life), not just to man’s immaterial part. The Hebrew word translated “restore” literally means “bring back.” In the context of shepherding, this could refer to a shepherd finding and bringing back a lost sheep, or to a shepherd giving rest to exhausted sheep. 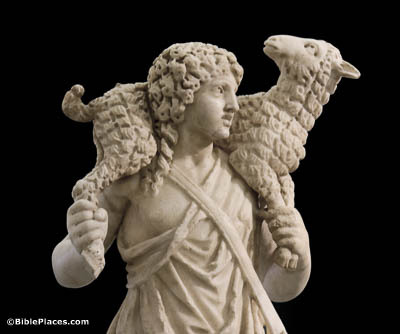 It is not uncommon to see a shepherd carrying a lost or tired lamb, as portrayed in this ancient statuette from around AD 300. 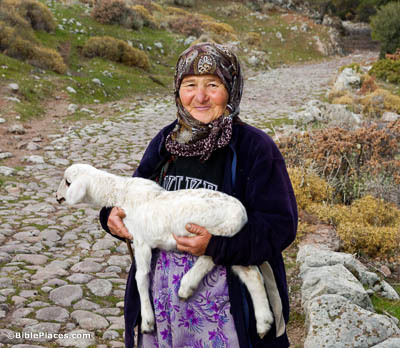 This Turkish shepherdess was seen holding a tired lamb, who looks quite content to be carried. This photograph was taken in northwestern Turkey (northwestern Asia Minor), on the ancient road between Assos and Troas. The apostle Paul once walked from Troas to Assos, possibly traveling on this same road (Acts 20:13-14). 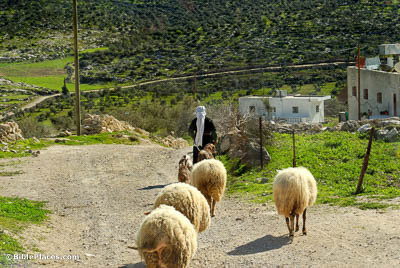 Sheep are dependent on a shepherd to guide them down the right paths—paths that lead to food, water, and shelter, while staying away from danger. However, the term that is used here refers specifically to what is morally right. This emphasizes the metaphorical meaning of the word “path,” which is often used in Scripture to indicate a certain manner of life, whether godly or otherwise (cf. Prov 8:20; 12:28; 16:31). Jewish reverence for the name of God (YHWH/Yahweh) is well known. God’s name is connected to His reputation. Since David was identified as a follower of Yahweh and had placed his trust in God’s promises, God was protecting His own reputation by leading David in paths of righteousness. 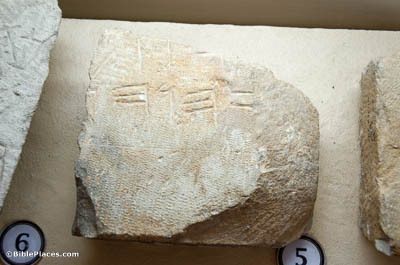 This inscription from Mount Gerizim is an example of God’s personal name written in Paleo-Hebrew.